There are circumstances in which you might consider using a suppository instead of inhaling or ingesting your medicine. 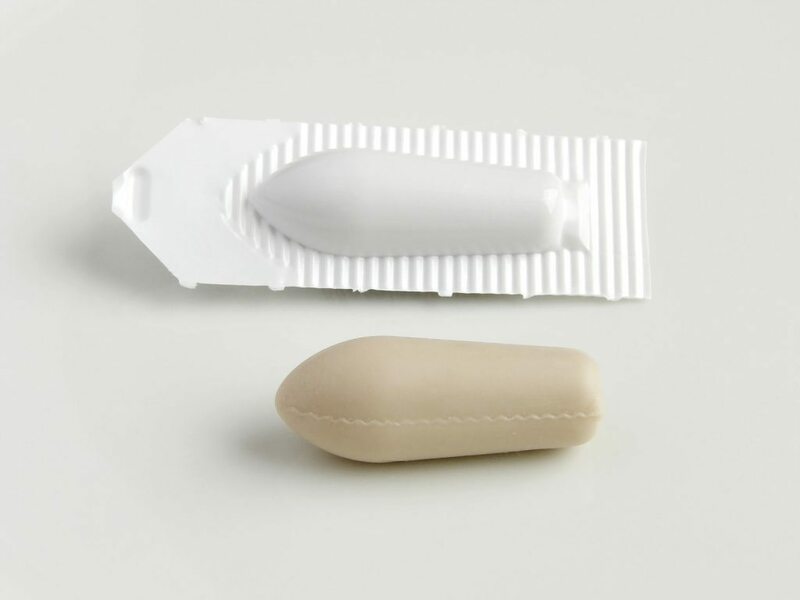 Suppositories are oil-based, bullet-shaped medication delivery systems that can be used either rectally or vaginally. A few examples of when you might choose a suppository are to treat vomiting where eating medicine is unlikely to stay down, to treat menstrual cramps with decreased psychogenic effect, or if you wish to use high doses of THC to address a tumor. While data for these uses are somewhat sparse, suppositories offer a safe and simple alternative to other methods of using medical marijuana. Most regions of the country do not have a supply of Cannabis suppositories commercially available, but don’t worry – you can do it yourself in the comfort of your own home with a few affordable and easy-to-find ingredients. Here’s how to get started. Coconut oil. Make sure to get the kind that’s solid at room temperature, like this! Do not get this kind of coconut oil, or you will be sorely disappointed in the results. A funnel that will fit inside of the straws (which is why they need to be extra-wide in diameter). Your end goal is to have the correct number of milligrams (mg) of Cannabis in each ~two gram (gm) suppository. D is your intended dose, P is the percentage THC in your shatter, and the slash (/) just means “divided by.” And that’s it! It’s really that simple. You can plug any values into the same equation depending on your needs. First, you’ll need to measure out eight grams of coconut oil on the scale. (That’s four suppositories at two grams each.) Place a small piece of parchment or wax paper on the scale so that there’s no mess. Press the “tare” button. This subtracts the weight of the parchment paper, so that the scale starts at zero even with the paper in place. Only the weight of the ingredient you put on next will be measured. Once you’ve measured your eight grams of coconut oil, place it carefully into your 1/4 c metal measuring cup. Next, place a small bit of fresh parchment or wax paper on the scale. Don’t forget to tare it again. Carefully measure out 50mg of shatter: that’s 12.5mg times four suppositories. Place your 50mg of shatter into the metal measuring cup, along with the coconut oil. Make some vertical room in your freezer. This will come in handy soon. Remember your straws? Take four, and close one end of each with plastic wrap, securing it firmly with a rubber band. Using an oven mitt, place the measuring cup over a burner on your stove. Heat it slowly until the oil is fully liquid and, stirring with a small spoon, you get the shatter to fully dissolve into the coconut oil. Be sure none is stuck to the walls of the measuring cup or spoon. Let the mixture cool partially. It must remain somewhat warm and unhardened at this stage. Using the funnel, pour the warm oil into the four straws. Be sure to fill each with an equal amount for consistent freezing and accurate dosing. Place the filled straws inside that space you cleared in your freezer, making sure they are supported so they will stand straight up. This is crucial to prevent leaking, so make sure the straws are secure. They should be hard in an hour or so, at which point you can lay them down. I would let them fully harden over night before using them. It’s important to keep the suppositories frozen until you are ready to use them. To use one of your suppositories, simply remove the plastic wrap, and gently squeeze the suppository out. Insert vaginally or rectally immediately, as the suppository will begin to melt in your hand very quickly. There’s one last thing to remember: suppositories only work if you retain them in your body even after they melt. With that in mind, I suggest lying down before squeezing the suppository out of the straw. Taking one before bed, or before settling in for some TV on the couch, might be ideal. If you find you prefer the suppositories over other routes of administration, you can use the equation provided above to replicate the recipe in any quantity you desire after you run out of your first four. If you need any clarification on how to make your own medical marijuana suppositories, please don’t hesitate to call me at (617) 477-8886. If you’re not a current patient, I’m happy to answer any questions you might have about a Massachusetts medical marijuana card or the health benefits of Cannabis in a confidential consultation.